The series is entitled People Places and Passions and I was thrilled to be asked. Mark and Derek hope that the idea will help to enhance and develop the new tourism venture that has seen the East coast of Ireland marketed as Ireland’s Ancient East. whilst still offering substantial financial return. examples of this clandestine trade. 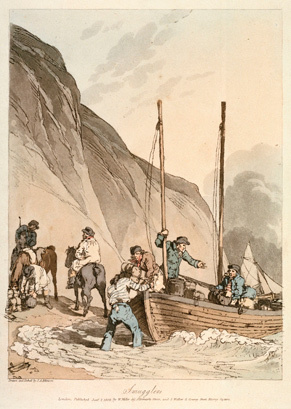 unloading casks of brandy or gin, however a wide range of products were smuggled. production in England in 1693[i]. industry on the coast of England[ii]. large portion of its history England followed the economic theory of mercantilism. production. When the Irish wool trade flourished it threatened manufacture in England. France where the price of wool remained high and the markets open[iii]. search in Wexford, Rosse, and Waterford for prohibited wares to pass for France[iv]”. 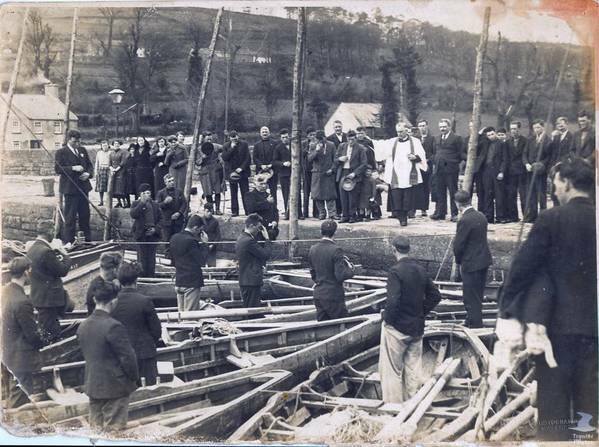 Irish waters and the formation of the Coastguard. were established in Ireland one of the locations chosen was Dunmore East[v]. The successes and failures of the Dunmore based cruisers such as The Hound or The Pygmy was covered extensively by the local papers[vi]. 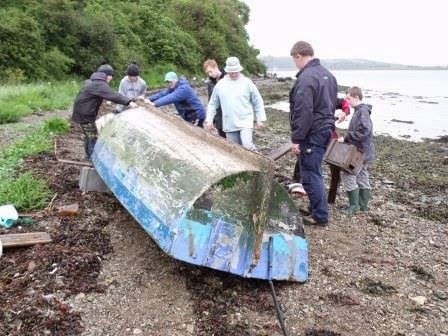 smuggling being carried out along the Irish Coast during this time period. (worth nearly a million euro in modern terms). the cargo of apples and potatoes lay a large amount of tobacco[ix]. was also widespread throughout the first half of the 19th century. shipmates can only be guessed at. the best efforts of the two revenue ships in this case the smuggler escaped[xii]. change in economic policy that would lead to the eventual decline of smuggling. policy made smuggling less profitable and the practice gradually died out. and was organised on an impressive scale. This is the third or our guest blogs. 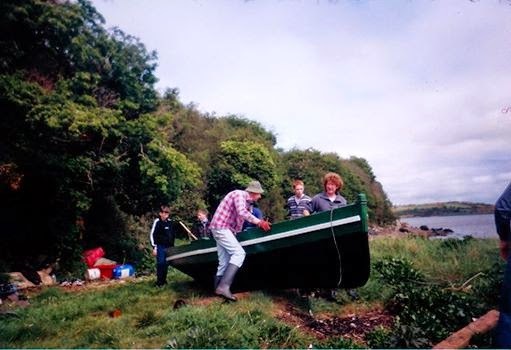 The intention is to offer a platform to others who are writing about the maritime heritage of Waterford harbour an opportunity to publish their stories. If you would like to contribute a piece, please email me at russianside@gmail.com. The only criteria is that it needs to have a maritime connection to the harbour and a maximum word count of 1200 words. I will format, source the photos if required and add in the hyperlinks. Guest blogs will be published on the last Friday of each month. Our next guest blog is scheduled for Friday 31st March and comes from Brendan Grogan. Its a piece about his Grandfather, Captain Farrell who went to sea at age 16 in 1878 and went on to become a master mariner and harbour master of Waterford. I can’t wait to share the story with you. 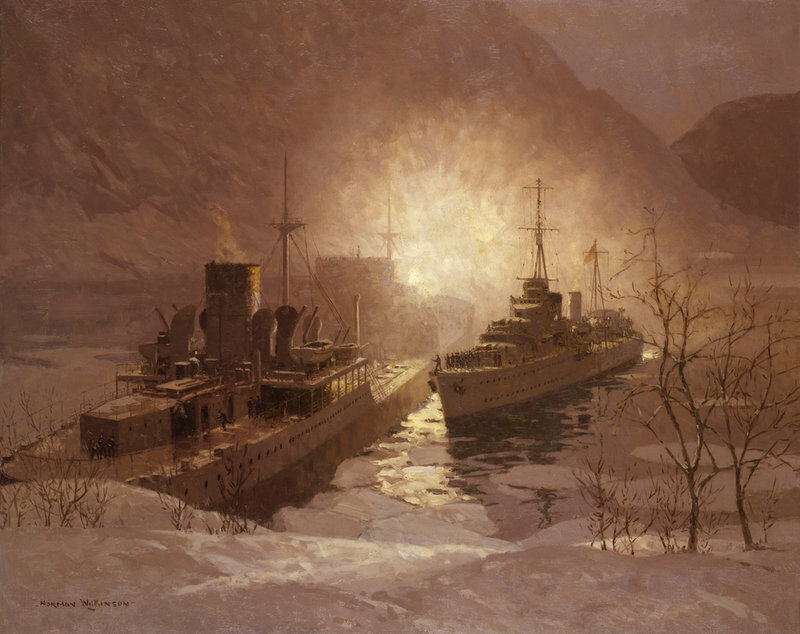 On the 16th February 1940 naval history was made and a major diplomatic incident was triggered when the Royal navy boarded a ship in Norwegian waters. It led to the freedom of 300 merchant sailors, one of whom was a Waterford sailor from Cheekpoint named Pat Hanlon. What became known as the Altmark incident began with the pride of the German naval fleet, the Admiral Graff Spee. At the commencement of World War II she was dispatched to the South Atlantic under the command of Captain Hans Langsdorff. Langsdorff was an old fashioned sailor, and sought to try protect the lives of fellow seamen. As a consequence the Graff Spee modus operandi was to approach allied shipping with the French flag at her stern, and once alongside run up her colours and put a crack boarding party aboard the allied ship. The crew were then transferred, or if close to land, were given the option of rowing to shore in their ships lifeboats. Charges were then set and the ships sent to the bottom. As a consequence, he probably sank less ships than would have been possible, but of the nine he did sink, no crew man died. 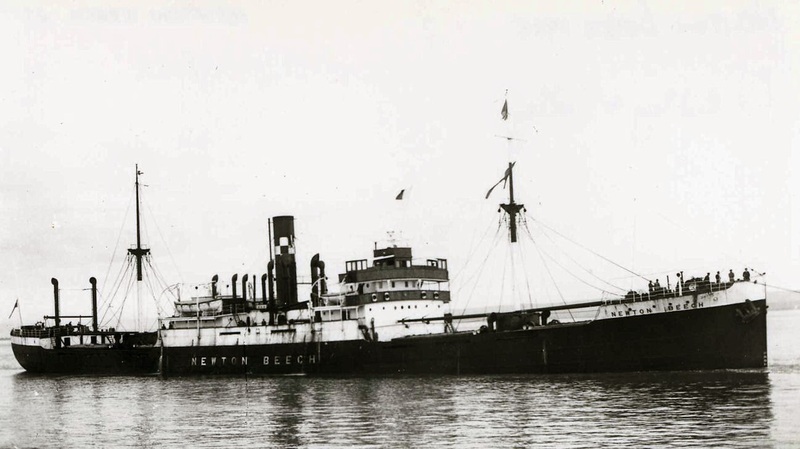 The SS Newton Beech of Newcastle-Upon Tyne was built in Sunderland by the Pickersgill & sons shipyard in 1925. She was an average sized tramp of her day (4615 GRT) owned by Tyneside Line with a crew of 21 Tynesiders and 14 from other areas including Cheekpoint. She was under the command of Captain Jack Robinson and had departed Cape Town on September 7th heading home with a cargo of Maize. Her last resting place is recorded here. 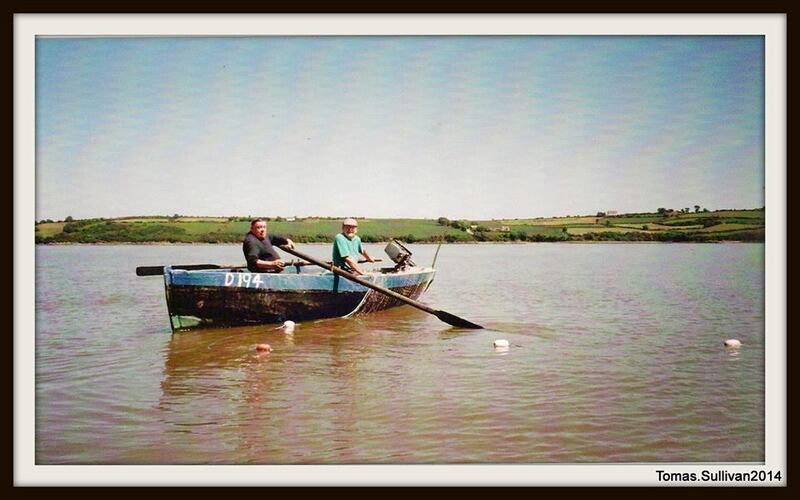 Aboard that fateful morning was Pat Hanlon one of the eleven children born to fisherman Martin Hanlon and his wife Margaret nee Murphy who was originally from Mooncoin. They lived in Coolbunnia on the main road into Cheekpoint. Pat like so many from the area “went to sea” to earn a living. 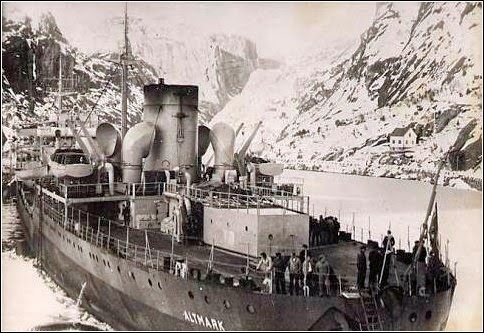 As sinkings escalated the numbers of prisoners grew and they were transferred to the Graff Spee’s supply vessel the tanker MV Altmark who shadowed the battleship and hid under a Norwegian flag and fake name SS Sogne. As the allied net closed on the Graff Spee and her ultimate fate, it was decided that the Altmark would break away from the scene and return to Germany. Working hard to avoid capture her Captain, Heinrich Dau, headed northwards towards the Arctic and nursed her towards the Norwegian coast. Aboard conditions were tough, but apparently fair. The Altmark was a large ship of 20858 GRT and prisoners were held in various sections, Pat being unlucky to be 25 feet down in one of the holds. It was dark, cold and very uncomfortable. At one stage Pat got in trouble as he tried to send an SOS in a tin over the side, in the hope of raising an alarm. He need not have worried. British naval intelligence was aware that prisoners had been taken and were busy trying to track likely vessels. As the Altmark approached Norwegian waters, the navy demanded she be searched. Despite three boarding parties of Norwegian navy personnel on three separate occasions, nothing was discovered. British suspicions were obviously aroused however and she was tracked down by a spotter plane. The Altmark was confronted by HMS Cossack, a destroyer and challenged whilst still in Norwegian waters. The resulting diplomatic incident became so heated that none other than Winston Churchill, gave the order to intercept and board the Altmark. She ran aground in a fjord and was subsequently boarded by the Navy where hand to hand combat was used, in case gun shot would harm any prisoners. When the hold containing Pat Hanlon was thrown open, with a call of “The Navy’s here” he was first out of it, and risked falling back off the ladder such was the surge from below. The call would later become the catch cry taken up by the press and media as a symbol of naval potency. 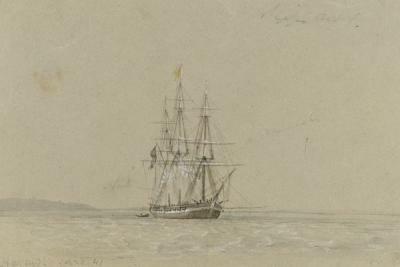 All the freed “Prisoners of war” were taken aboard the HMS Cossack and she departed for Leith the following day. The newsreels rolled and the opportunity for propaganda was not missed as this footage highlights. The incident created history in that it was the last naval boarding undertaken by the British navy. It also led directly to the invasion two months later by Hitler of Denmark and Norway, as he determined that the Norwegians were not prepared to stand up to the British on matters of neutrality. The incident was widely reported in the media and Pat found himself on the pages of several newspapers including the Irish Independent and the local Munster Express. Despite his experiences Pat returned to sea not long afterwards and he along with hundreds of fellow Waterford men and thousands of Irishmen plied their trade with the merchant navy all through the horrors of the war. Unfortunately the consideration of Captain Langsdorff was uncommon and tens of thousands of merchant men died, one piece I read put it at 50,000, some of whom were from Cheekpoint and many more from Waterford and the rest of Ireland. Its worth remembering they put to sea in ships with little or no way of defending themselves and were unsung hero’s in a war where they played a crucial part, and got little by way of recognition for their bravery. Thankfully, Pat survived the ravages of the war and afterwards got married and started a family in Liverpool and continued to work as a seaman. He died in Liverpool in 1994 at the age of 89 and his ashes were scattered on the Mersey. Here’s a story of what another Waterford man endured. The quarantine station at Passage East was used in the past as a place where sick sailors could be held under observation, to ensure that the ports of Waterford and New Ross were protected from diseases such as Cholera. I first heard of it as a child when fishing, as it was often mentioned as a placename, when we drifted downriver for salmon. 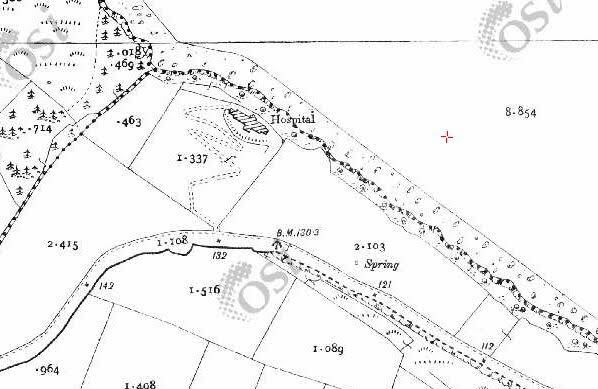 The site is above the village of Passage on the Waterford side and it was little more than a step on the rivers edge in those days. 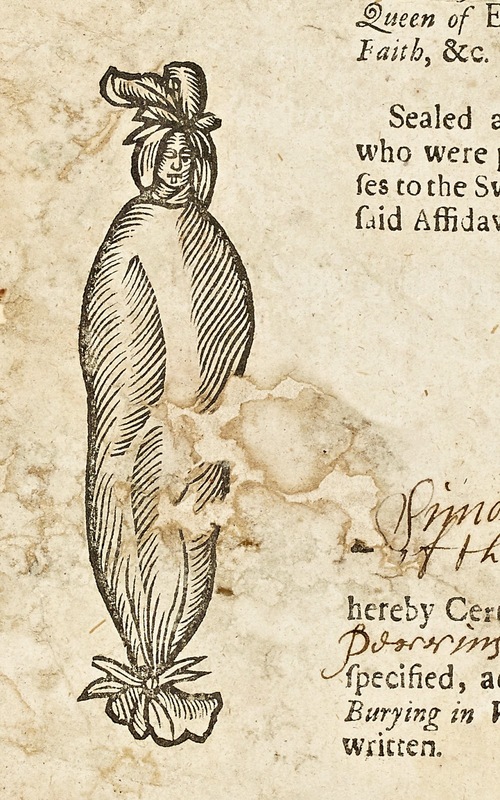 But the story had the power to scare, and I never once went near the location for fear of catching the plague! The stories I heard were of ships calling to the harbour being held at Passage and Ballyhack until they were cleared by customs to continue upriver to Waterford and New Ross. 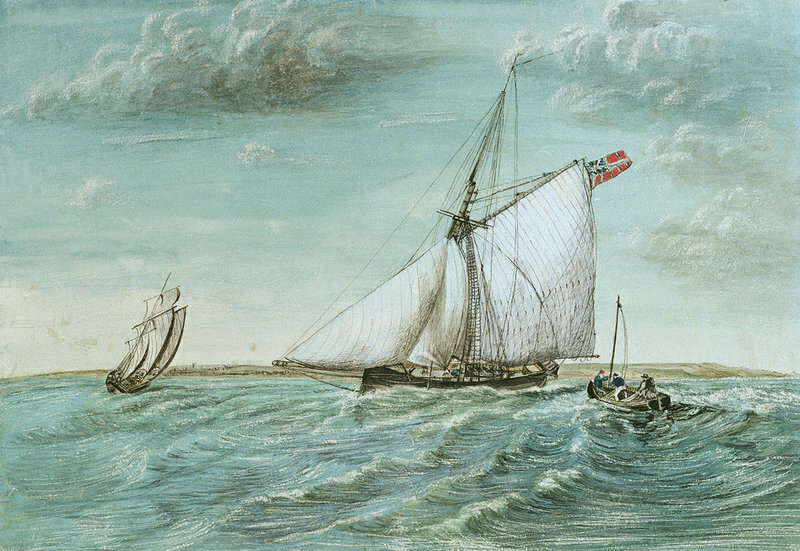 Captains were required to report the health of the ships company, and any sick sailors were expected to be declared, either to the custom officials directly or by the hoisting of a flag (the yellow jack) which led to a punt being rowed out to the vessel and the sailor, or sailors being taken ashore to the hospital. The ship was then anchored away from others to await news of the sailor. In some cases it appears that ships coming from ports where illnesses had been reported, could expect to be detained. They would anchor away from others, and I had heard there was an actual spot near Buttermilk for excluding ships. panoramic album photos circa 1907/8. Quarantine has a long history, most probably originating with the black death in Europe in the 14th Century where it took millions of lives. The concerns for ship borne diseases grew and from the early 1700’s laws were enacted in the UK and Ireland to protect ports and citizenry. In some cases ships were used to guard harbours, here’s an example from Liverpool. Evidence about the local hospital however is scarce, and apart from the local folklore (always in my experience containing many grains of truth) little seems to be written about the building or its history. Online sources deal with the issue of quarantine in general, and highlight just how prevalent it was at all the major ports*. In June 1905 the Waterford Standard (3) covers another meeting of the Board, and the minutes reveal a letter received from the workhouse, seeking permission for sick children to be allowed attend Passage Hospital. The Board however, is no longer in charge. 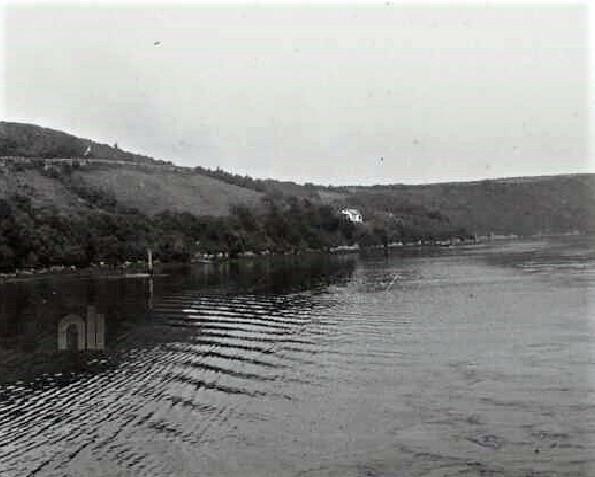 It passed to the control of the Waterford and New Ross Port Sanitary Authority in 1904. In 1910 we learn of a dispute amongst members of the Waterford and New Ross Port Sanitary Authority where the building is referred to as an Intercepting Hospital(4). 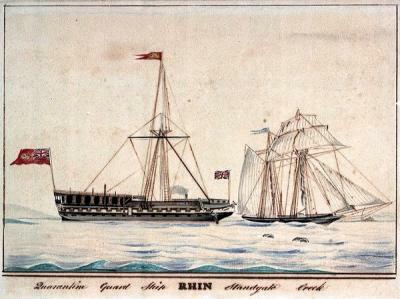 Following a cholera outbreak in Russia and three cholera incidents; on two separate ships in London (where a quarantine hospital is based close to Gravesend), and an incident in Italy, a circular has issued from the Local Government Board of Ireland urging the need for up to date disinfecting devices to treat the clothing and bedding of quarantined sailors. The article provides lots of heat, by way of argument, but not much light! Readers will be delighted to hear that a sub committee was to be formed, if any cases arose. The most recent mention comes from 1949 (5), when we are told the Intercepting Hospital which was under the control of the Waterford and New Ross Port Sanitary Authority has passed to the control of the Health Authority. I remember calling in there with my grandfather, Jimmy Duffin, on the way back from salmon fishing. There was a concrete landing stage with iron railings. The building was of rusting galvanised sheets. You could see old iron beds with bedclothes and pillows thrown on them and on the floor. There were bottles and jars and dressings strewn about also. That was as far as we got as my grandfather said that, “you wouldn’t know what you’d catch if you went in”. (1) Waterford Mirror. Thursday December 18th 1884. (3) Waterford Standard. Saturday June 5th 1905. Well that was 9 years ago, and I’m sure the situation has only worsened. What was clear to me about the opinions expressed by those fishermen was they could see the value of such work, but not just in terms of finance. Such work held the community together, actually helped create a meaning of community. Announcements of last week ring hollow, because they appear to know nothing of community. For them it appears rural is about economy, funding, units. If they can’t value the people and the professions that hold rural communities together, how can they ever hope to retain a rural way of life.